The site ends up costing two or three times more than expected, causing all-important post-launch marketing activities to be cut back or eliminated. The site ends up having half or a quarter of the desired functionality, rendering it nearly useless. The site ends up as a series of compromises in design, content and functionality, making a mediocre impression on customers and prospects. The underlying problem, as these three scenarios suggest, is under budgeting — or not budgeting at all. What’s the best way to set a budget and lay the groundwork for a site that meets your expectations? Want to know how to budget your very own website? For more information chat with our partnering Design Consultants. Setting a realistic budget starts with having an idea of what you want the site to do, so let’s start there. Important things to consider include: Design. How much customization do you want? 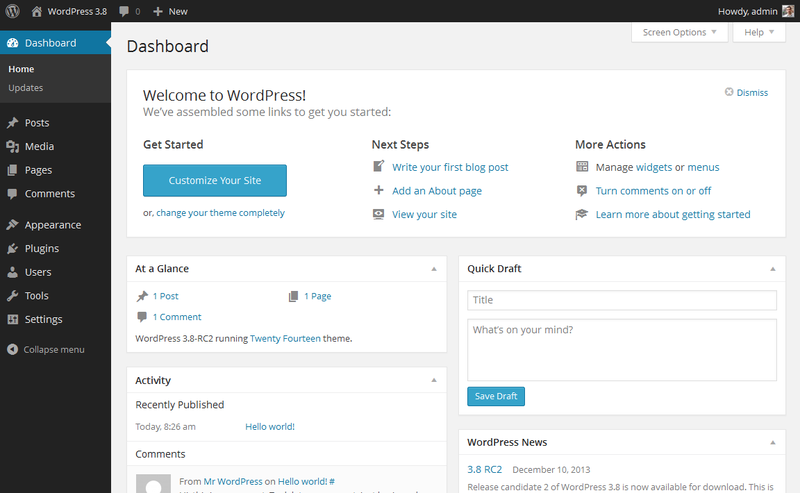 Will a standard WordPress theme suit your needs? Do you need a custom design from the ground up? Something in between? Do you have imagery for your new site, or will photos need to be taken? If so, how many photos (or other imagery such as charts and diagrams) will be needed? Content. How much unique content will your site need? 10 pages? 100 pages? Will it be easy or hard to write? Do you have the ability and bandwidth to write it, or will you need to outsource copywriting? If outsourced, will the writer need to do extensive research to write the copy properly? Functionality. Do you need more than a basic contact form? Do you want to offer downloadable PDFs or other information? Do you want leads from various forms to be tracked? Will you need e-commerce, and if so, what type of payment options? Are there any other functional requirements, such as integration with internal systems or third-party e-commerce sites? Do you want to optimize your site for search engines (SEO)? Will you need W3C or other compliance? Do you want Flash design or a customer portal? Once you have a rough list of desired site specifications, you’re in a position to solicit proposals. A web development agency (or freelancer) will need these inputs from you to provide a reasonable estimate. The proposal might match up precisely to your specs, but more likely, it will have modifications based on practical considerations or the agency’s capabilities. This is OK; often, a developer has ideas that reduce cost and yet meet your needs. Considering three or four proposals on the initial go-around is best, because you’re apt to see a fairly wide range of prices and approaches. Want to know more? Book a free consultation with us now! Design disconnects. Creating images is expensive and time-consuming. Often, firms don’t care about images in the early stages of a project, but later on, when they see boring, text-heavy pages on the test site, they desperately want a lot of customized imagery. Settling for tired stock imagery, the usual Plan B, results in a generic looking, unimpressive site. Content disconnects. Content is far more expensive and time-consuming to create that most people realize. Firms often assume they can have an employee whip up content at the last minute, and learn too late that’s an impossible task. Functionality disconnects. Firms typically have no idea what pieces of site functionality — some of which were detailed above — actually cost. They become frustrated in mid-project when they ask the developer to “throw in” a little ecommerce and discover it costs $5,000 to do so. By using initial proposals to set a budget for your site project, you prevent unpleasant surprises down the line. In addition, you’re more likely to find the right developer for your project and create a site that is truly right for your business in terms of overall performance and cost. Following this plan takes serious upfront strategic thinking and grunt work, but the payoff is big. Pulling a budget out of thin air, or committing your business to a new site without a budget at all, are risky approaches that can drain your bank account and set back your Internet marketing for several years. It’s an unnecessary risk.